When you look at the words attic fan in Sacramento, your first reaction might be that there’s no need to cool down the attic because people rarely go into it. However, if you’ve ever gone up into your attic during a sunny summer day, you’ll discover it’s the hottest part of the house—and all that heat can reach into other parts of the building and raise the temperature. An attic fan is a cost-effective way to remove this heat and help to keep the rest of the house cooled down. It also protects roofing material. Crystal Blue Plumbing, Heating & Air offers many air conditioning and cooling services for homes in Sacramento, CA and the surrounding areas. If you are interested in finding a way to stay cool in summer without placing extra stress on your air conditioner, an attic fan may be the ideal choice for you—and we’re the people to call to schedule the service. We offer customer service the way it used to be! Attics fans are devices that vent out the heated air from an attic space to the outside, bringing the attic temperature closer to the outdoor temperature. And attics can become extremely hot during even a mildly warm spring or summer day. The radiant heat from the sun on the roof can raise the temperature of the attic higher than 130°F, even up to 150°F! Attic fans also remove excess moisture from inside the attic, which provides a number of extra benefits. The main benefit of an attic fan in Sacramento is that it helps to reduce air conditioning costs. When an attic is super heated to 130° or higher, the heat will radiate into the surrounding areas, i.e. the living spaces of your house. Attic insulation helps to stop some of the heat, but an attic fan can do even more. 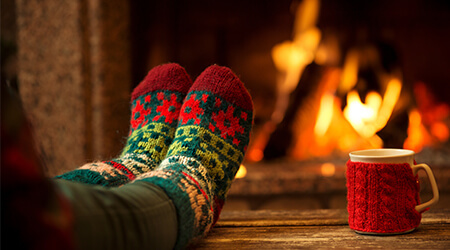 You can enjoy temperatures in your house around 8°F cooler thanks to an attic fan, and that allows your AC to take longer breaks—and lower your bills. The removal of moisture from the attic is another major benefit, and one that’s importance is often overlooked. Even on the driest days, moisture rises up through your home from cooking, bathing, and other activities, and gathers in the attic. This moisture build–up can lead to warping of roofing material and the development of dry rot. Putting in an attic fan is a way to protect your investment in your home. To ventilate an attic properly with fans requires technicians with the professional skills to measure the attic space and connect the fans to the electrical system. In other words, it’s not a DIY project! Crystal Blue Plumbing, Heating & Air works with both attic fans and whole–house fans (another excellent way to lower your air conditioning bills), and we’re a trusted local company with a reputation for exceptional customer service. 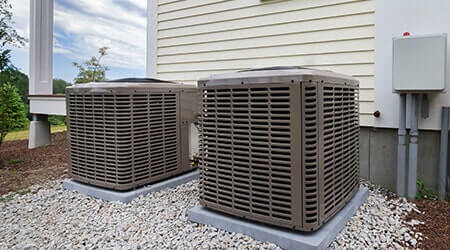 We have served Sacramento, CA and the surrounding areas with HVAC service since 1976, and you can count on us whenever you need comfort system help.